May’s a month of multiple Saturdays, and whether they be four or they be five is no matter. Only the first one counts, as it is sacred to the Kentucky Derby. It is a libel that so much eating and drinking occurs in and around Louisville that the race is just a sideshow, but certainly attention must be paid to the Mint Julep. The Mint Julep in its traditional silver—or at least silvery—cup, looking perhaps a little too dainty, though, no? Surely a snowball of ice is wanted , not to mention lusher greenery and a shorter straw so you can put your nose in it? Two, bartender! The Julep means bourbon and Kentucky is the oom-phalos thereof, although it can be made anywhere on U.S. soil (I long for someone to give it a try at some far-distant U.S. embassy). Every Kentuckian knows how to make The Perfect Mint Julep and most eagerly press the recipe on parched visitors (a minority wince melodramatically, as if it has to peeled off their skin). All agree on the use of fine bourbon, mint, water, ice and sugar—and disagree: Things fall apart; the center cannot hold, so I have consulted with Kentucky’s masters on styles and recipes. Fill julep glass with crushed ice. Add syrup and bourbon; garnish with mint. (Booker made mint syrup sufficient for 10 Juleps like this: boil 1 cup of water and 1 cup of sugar for five minutes; do not stir; let cool; pour into a quart jar filled with mint leaves; refrigerate "for hours." Discard mint. Second nature to Booker, who once closed a particularly jolly dinner with ‘Let’s go to my house for a drink! Does anybody know where I live?’—but a bit shy of details. Cocktail maven Gary Regan (ardentspirits.com) helps some, recommending ice crushed fine enough to frost a traditional sterling Julep cup or Collins glass, and he likes a snow-cone top. Getting no help on the Mint Question (should it be tightly or loosely packed?) I boldly decided on a middle course: pack it pretty tight. As for bruising, you’re on your own. It’s a must for some, herbal abuse to others. For garnish Regan demands an abundance of six-leaved sprigs. Also, short sipping straws: He likes to bury his nose in fragrant greenery. He counsels a little more generosity with the bourbon, perhaps, and at last finds peace. Of course you fling all this stuff together in a glass or a cup with some ice, but when Morris runs the show, the calipers, micrometers and gas chromatographs come out. Chris says to muddle the four mint leaves, which should be mature and Here’s Chris Morris now, preaching the gospel of ferociously muddled top-drawer mint and the civilizing effects of the No. 4 ‘alligator’ char. medium size (not too tiny and young, nor too old and beginning to dry out), with exactly three drops of Wood-ford Reserve and a teaspoon of powdered sugar in the bottom of a julep glass or sterling-silver cup. This will create a sugary mint paste. Spread the paste evenly over the bottom of the cup with the muddler. Add the straw and fill the cup 2/3rds full with crushed ice. Pack the ice down gently with the muddler. Add the bourbon and top off with loose crushed ice. Garnish with a mint sprig next to the straw. 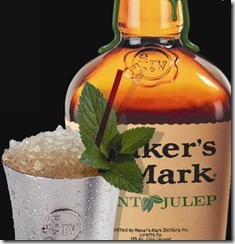 Fred Noe, Booker’s son, makes two perfect Juleps from family recipes. 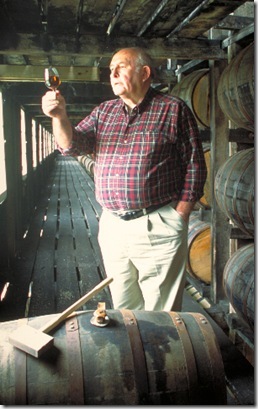 His Knob Creek version differs from his Jim Beam ver-sion in being weightier–1.5 ounces of bourbon compared to 1 ounce, sweeter (1 tsp. sugar in 2 tsp. water to just a pinch and a splash) and mintier (stemmed leaves are added before the ice). Otherwise they’re much the same: in a glass, dissolve sugar in water, fill with crushed ice, add bourbon; garnish. These are likely to be less sweet than those using simple syrup: Sugar dissolves but reluctantly in cold water. Experiment is advised. For a make-ahead mix sufficient for eight juleps, Tom recommends that 30 to 40 tiny tender leaves be washed, patted dry and left to soak at their ease in a small bowl of bourbon. After 15 minutes roll them in thin cotton cloth and wring them out over the bowl. Repeat several times for maximum extraction. Set aside for at least an hour, returning the leaves to the bourbon if desired. Combine extract with simple syrup and refrigerate over-night. Comes the great day, pack a glass with crushed or shaved ice, add a mint sprig and follow it with 1.5 oz. of Bulleit. Or a little more, to taste. 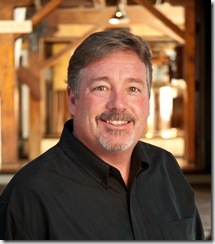 Kevin Smith (pictured) of Maker’s Mark is one also precise, and generous, too. He starts with a liter of his bourbon, obviously with a party in mind. His way with mint is the same as Tom Bulleit’s, but he insists on only distilled water when making his simple syrup. Then comes a serious departure from tradition. Julep recipes almost always call for pouring the bourbon in last, but Smith prefers to mix them all together up front. 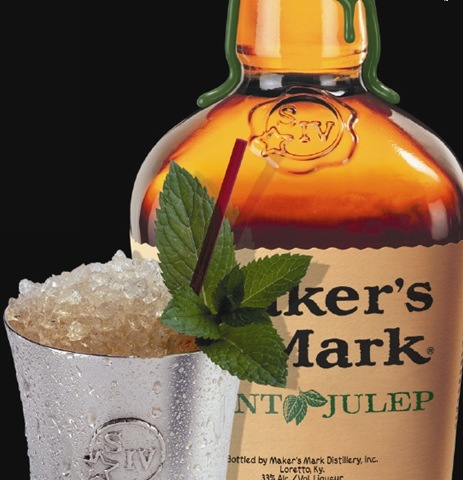 As follows: Pour a quart of Mak-er’s Mark bourbon into a bowl (store the remainder, or sip it restoratively), stir in a cup of the simple syrup, and then add the mint extract, one tablespoon at a time. 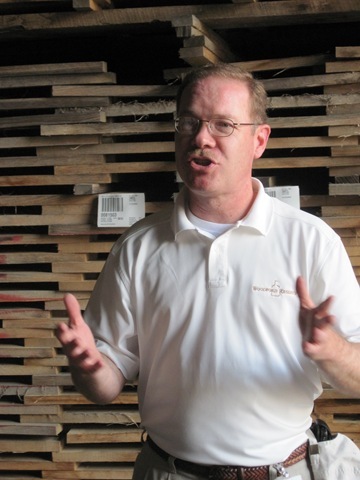 Taste as you go, Smith says: It’s easy to overdo the mint—most people do—and once it’s in you can’t take it out. Generally, he says, three tablespoons will suffice. When you think the mix is right, pour it back into the liter bottle and refrigerate it for at least 24 hours, so the flavors will ‘marry.’ (Any less and they just get laid, I suppose.) To serve, fill glasses halfway with ice, add the mint sprig, then add more ice—to about a half-inch above the rim—insert the straw and dust with powdered sugar. And so . . . success at last? Hardly. Despite my herculean effort and noble self-sacrifice it’s hard for me to avoid, Thirsty Reader, a slight feeling of let-down here, of having, as they say at the race track, faded in the stretch. As your guide, your mentor, your help in ages past, I went forth in fond and confident hope of spying out One True Recipe, the Julep in its Platonic form, and bringing peace for our time. Fat chance! There isn’t just one Perfect Julep but hundreds, even thousands, for each devotee carries in his heart his own idea of perfection. That, Thirsty Reader, is what makes horse races.